Friedrich Gulda (16 May 1930 - 27 January 2000) was an Austrian pianist. Born in Vienna as the son of a teacher, Gulda began learning to play the piano from Felix Pazofsky at the age of 7; in 1942, he entered the Vienna Music Academy, where he studied piano and musical theory under Bruno Seidlhofer and Joseph Marx. After winning first prize at the International Competition in Geneva four years later, in 1946, he began going on concert tours throughout the world. Together with J?rg Demus and Paul Badura-Skoda, Gulda formed what became known as the "Viennese troika". Born in Vienna as the son of a teacher, Gulda began learning to play the piano from Felix Pazofsky at the age of 7; in 1942, he entered the Vienna Music Academy, where he studied piano and musical theory under Bruno Seidlhofer and Joseph Marx. After winning first prize at the International Competition in Geneva four years later, in 1946, he began going on concert tours throughout the world. Together with J?rg Demus and Paul Badura-Skoda, Gulda formed what became known as the "Viennese troika". Although most famous for his Beethoven interpretations, Gulda also performed the music of J. S. Bach, Mozart, Schubert, Chopin, Debussy and Ravel. From the 1950s on he cultivated an interest in jazz, writing several songs and instrumental pieces himself and combining jazz and classical music in his concerts at times. Gulda wrote a Prelude and Fugue with a theme suggesting swing. Keith Emerson performed it on Emerson, Lake & Palmer's The Return of the Manticore. In addition, Gulda composed Variations on The Doors' Light My Fire. Another version can be found on As You Like It (1970), an album with standards such as 'Round Midnight and What Is This Thing Called Love. In 1982, Gulda teamed up with jazz pianist Chick Corea, who found himself in between the breakup of Return to Forever and the formation of his Elektric Band. Issued on The Meeting (Philips, 1984), Gulda and Corea communicate in lengthy improvisations mixing jazz (Someday My Prince Will Come and the lesser known Miles Davis song Put Your Foot Out) and classical music (Brahms' Wiegenlied). It was this unorthodox practice that, among other things, earned him the nickname "terrorist pianist"; Gulda had a strong dislike of authorities like the Vienna Academy, the Beethoven Ring of which he was offered in recognition of his performances but which he refused, and even faked his own death in the late 1990s, cementing his status as the enfant terrible among pianists. Nevertheless, Gulda is widely regarded as one of the most outstanding piano players of the 20th century. 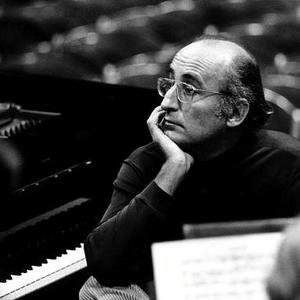 Friedrich Gulda died on January 27, 2000 at the age of 69, following a heart failure. Two of his three sons, Paul (with first wife Paola Loew, born October 25, 1961) and Rico (with his second wife Yuko Wakiyama, born April 9, 1968) Gulda, are also accomplished pianists.